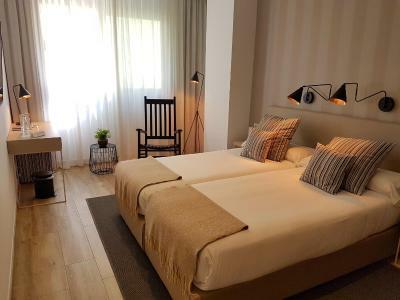 Lock in a great price for Hotel Boutique Balandret – rated 9.2 by recent guests! 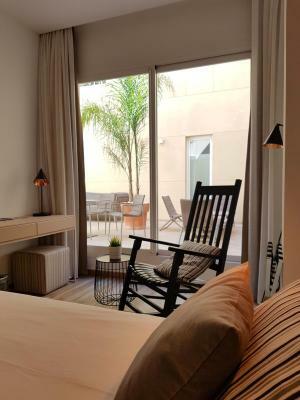 Charming, small hotel right on the beach. 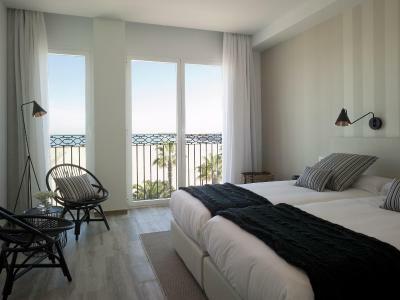 The room was very clean, we had a lovely view of the ocean, the breakfast was good, and the staff was extremely friendly and helpful. The staff was extremely helpful and welcoming. 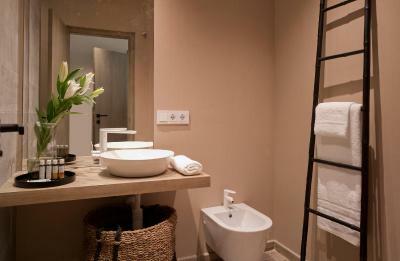 The room and bath were spotless and nicely appointed. A very pleasant and relaxing two nights. Loved the location! Easy access to transit! Amazing staff and Breakfast ! Beautiful hotel. Loved the location right on the beach, quick access to the city or arts and sciences and downtown either by car or metro. Great buffet breakfast. Super friendly and helpful staff. Free parking a plus!! Great rooms. Very clean. Breakfast wonderful. Loved the bed! Loved the shower. 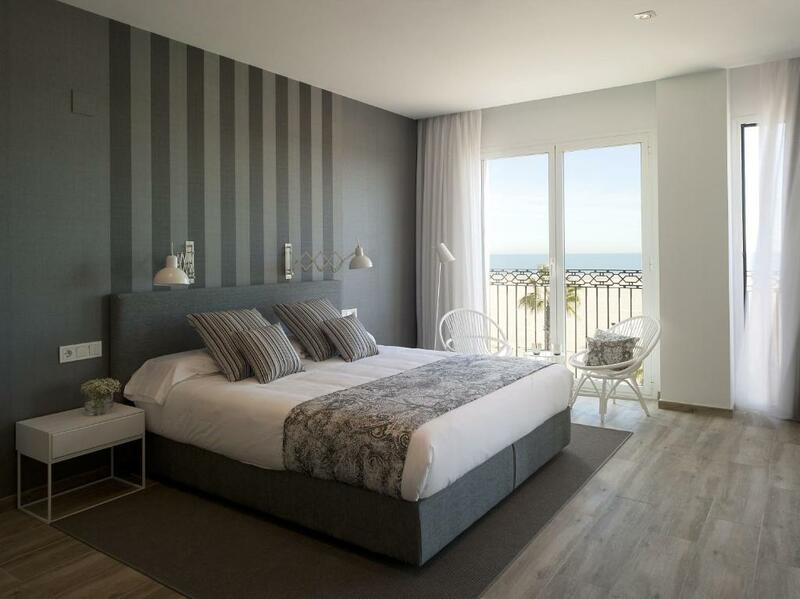 The design was very nice, cleanliness of the room, free parking and the location by the sea. 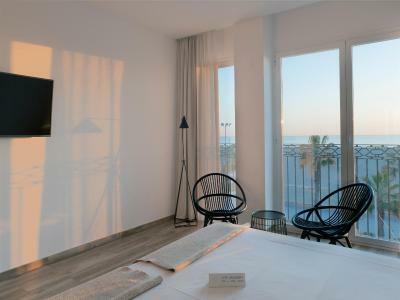 We got a last minute booking with room overlooking the beach at an exceptional price (about 110 Euro). We were there only one night as a stop between Barcelona and Granada and it was a great place to recharge our batteries and walk on the beach. The hotel fronts onto the beach and you could not be closer. Nice clean room and comfortable bed. Staff was attentive and helpful. Breakfast was included and it was very nice. Close to restaurants and other services. This is in a busy area of the beach. If you are seeking solitude, this may not be your cup of tea. Great location right on the beach. Extremely friendly staff was able to call for taxis, etc. or help with any of your needs. 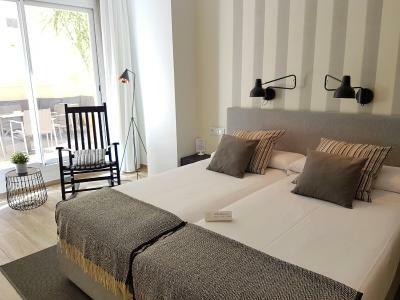 Fantastic and upgraded rooms & bathrooms! 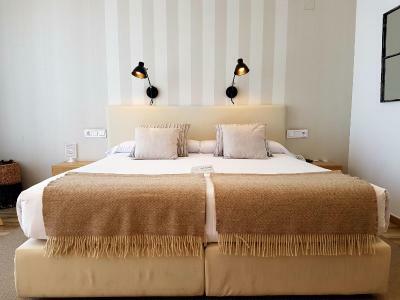 Hotel Boutique Balandret This rating is a reflection of how the property compares to the industry standard when it comes to price, facilities and services available. It's based on a self-evaluation by the property. Use this rating to help choose your stay! 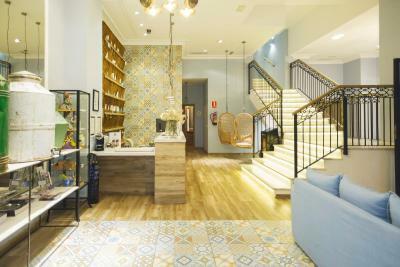 One of our top picks in Valencia.Set on the seafront of Las Arenas Beach and its promenade, Hotel Boutique Balandret offers an on-site restaurant and bright rooms with free WiFi in Valencia. 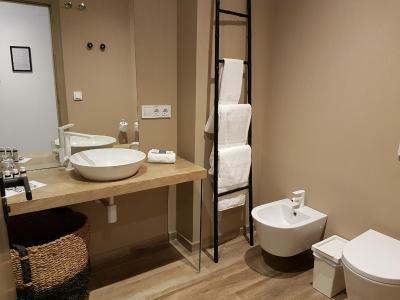 Decorated in cream or gray tones, each room at Hotel Boutique Balandret comes with a private bathroom including a hairdryer. 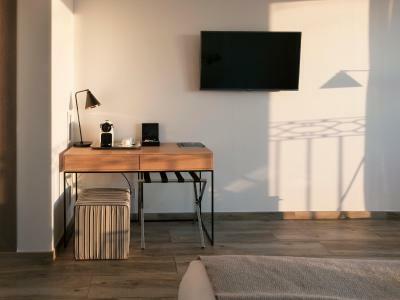 All rooms have a flat-screen satellite TV, a safe, and some of them feature sea views. 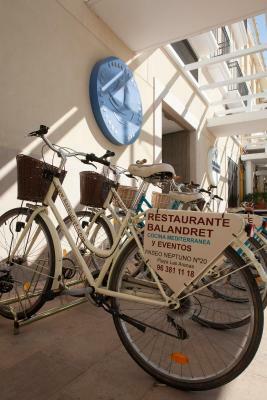 At Hotel Boutique Balandret you will find a 24-hour front desk, a terrace and a snack bar. Other facilities offered at the property include meeting facilities, a shared lounge and a games room. There is a large kids play area equipped with different toys and children’s painting materials; and several babies accessories such as bath, baby cot and children’s toilet seat are available for free. 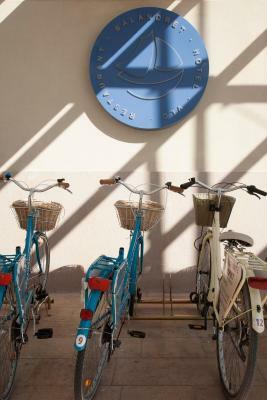 An array of activities can be enjoyed on site or in the surroundings, including cycling, horse riding and diving. The hotel is 2.5 mi from Oceanografic. 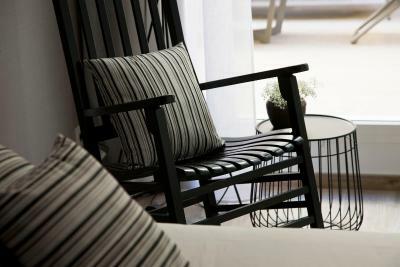 When would you like to stay at Hotel Boutique Balandret? 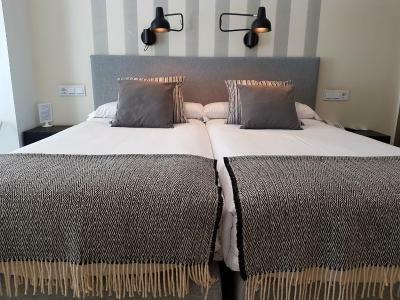 Offering sea views, this soundproofed room comes with 1 large double bed and a private bathroom with a hairdryer. 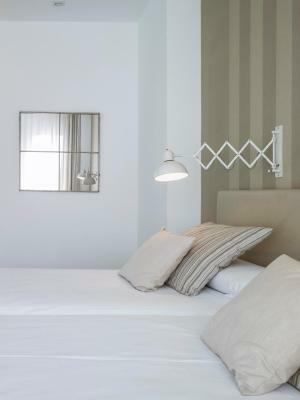 There is a flat-screen satellite TV, a safe and ironing facilities are provided. 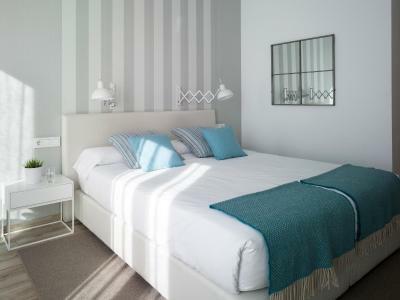 These soundproofed rooms offer 1 large double bed or 2 single beds, as well as a private bathroom with a hairdryer. 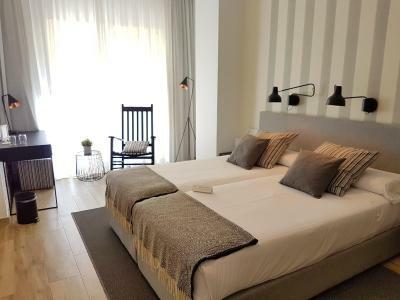 There is a flat-screen satellite TV, a safe and ironing facilities are provided. 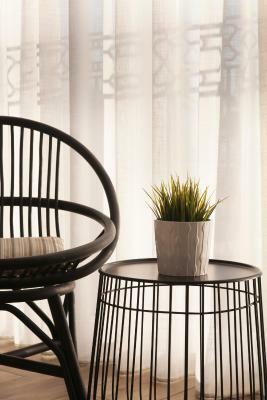 These rooms offer views to the street or to an interior terrace. 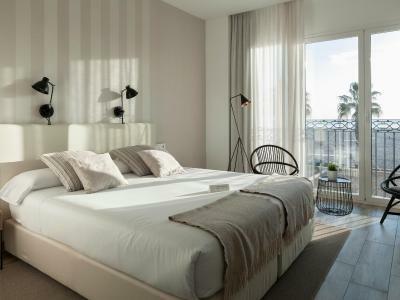 Decorated in gray tones, this soundproofed suite comes with 1 large double bed and 1 double sofa bed. 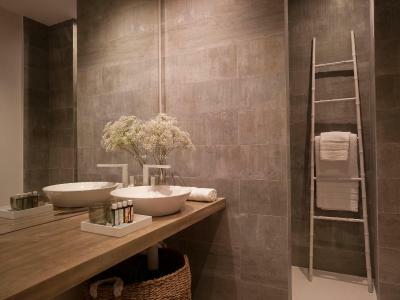 There is a flat-screen satellite TV, a safe and the private bathroom includes a hairdryer. 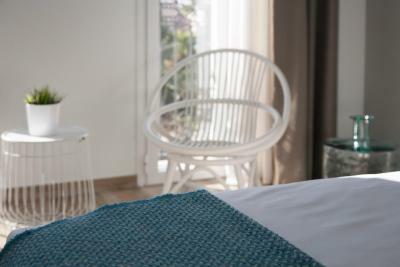 This double room overlooks the building's interior patio. It features air conditioning and soundproofing, and includes a flat-screen satellite TV and a private bathroom. 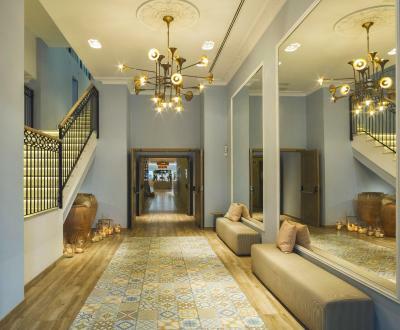 House Rules Hotel Boutique Balandret takes special requests – add in the next step! 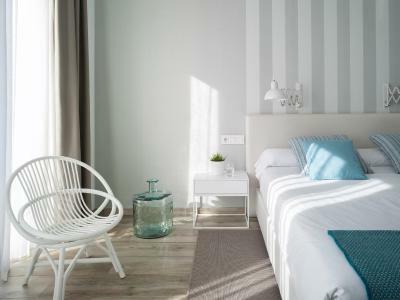 Hotel Boutique Balandret accepts these cards and reserves the right to temporarily hold an amount prior to arrival. Please note that parking spaces are limited and subject to availability. They must be reserved in advance. Wonderful beds, excellent breakfast and staff that were very willing to help with questions. We loved our stay! Location was fab. Staff very friendly. 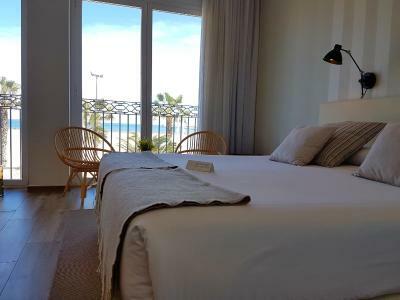 Room was spacious, very clean and beautiful with stunning views of the sea and beach. The hotel looks nice on the surface - bright and modern. The rooms are a decent size. I can’t even begin to describe how happy we were when we found out the hotel was right on the beach itself! The rooms were very clean and modern. Simply beautiful! Restaurants along the street were fantastic as well. Couldn’t be happier! No sea view. And no pool. The only thing missing was tea/coffee making facilities in the room. Excellent location near the beach, but with easy access to major attractions including the Old City. Although off season the service was excellent and the hotel staff very helpful. Ideal for our 4 night stay. The receptionist were very courteous. Breakfast was awesome, great beach location, and staff! The breakfast was ok, very sweet options and perhaps needing a little more in terms of fresh hot food on offer. The reheated tortilla de patatas were ok and freshly cooked eggs were available on order but more fruit, more hot food (sausages or similar) and more variety of brown breads would have made it excellent. The location of the hotel is away from the city centre. That proved to be very good given that it was Falla and therefore daily firework displays in the afternoon and crowd upon crowd. The location was but about €9 one way by taxi and the hotel is on the beach, making it quiet and very very relaxing. The staff went out of their way to help and advise and all in all, an excellent hotel. Location was perfect. No pool, no spa so a bit expensive In that regard. Reception staff friendly and helpful. 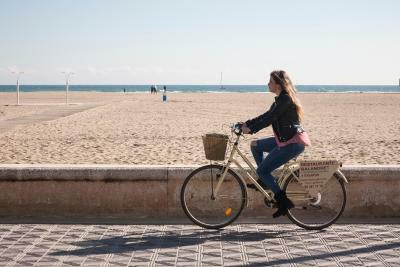 The location is right in front of the beach, and 15 min ride from the old town. 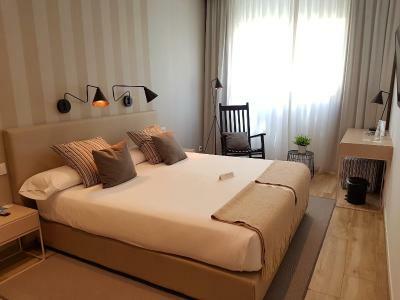 the room is spacious newly renovated,pretty Mediterranean design. It was ready before the check in time, staff was very friendly. 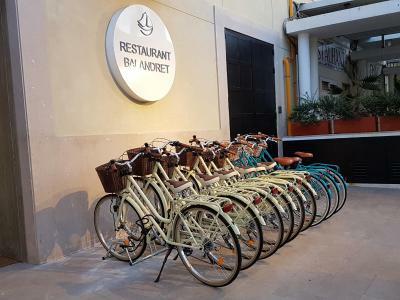 Breakfast is good,remember that there are more options upon your request,you can order hot dishes :) you can rent the bicycles directly from the reception. The hotel restaurant is a great option for lunch and dinner too. Great value for money paid!